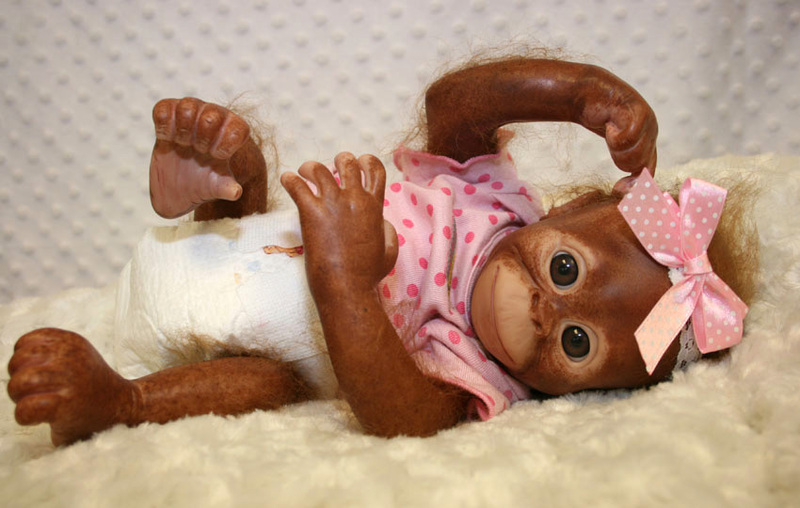 Reborn baby Monkeys for sale! 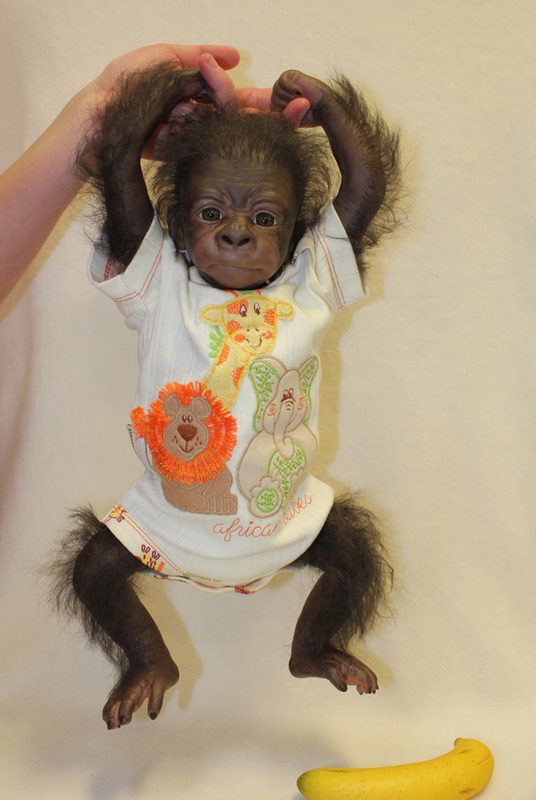 Reborn monkeys are also painted with genesis heat set paints, baked in an oven, have hand rooted hair with quality mohair and are weighted with tiny glass beads in the head and limbs and with Polly-pellets in the cloth body and filled with stuffing. 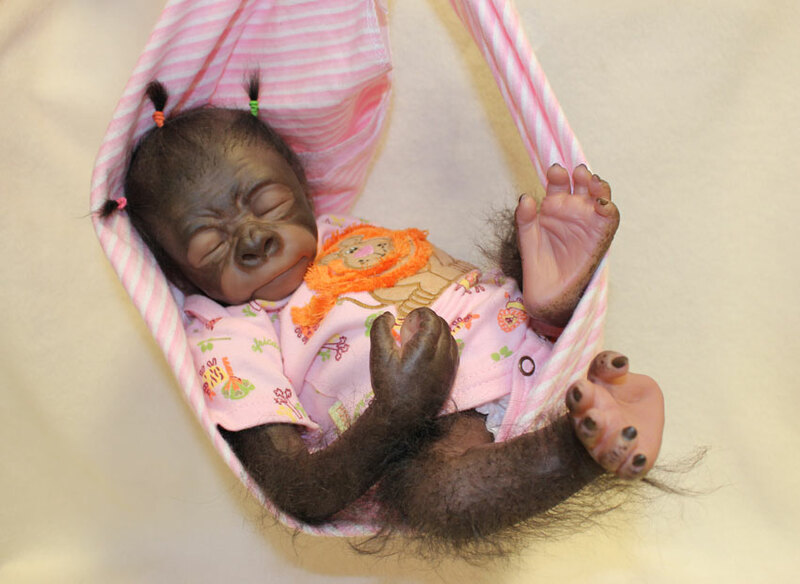 Reborn Monkeys cost R2 800 each. 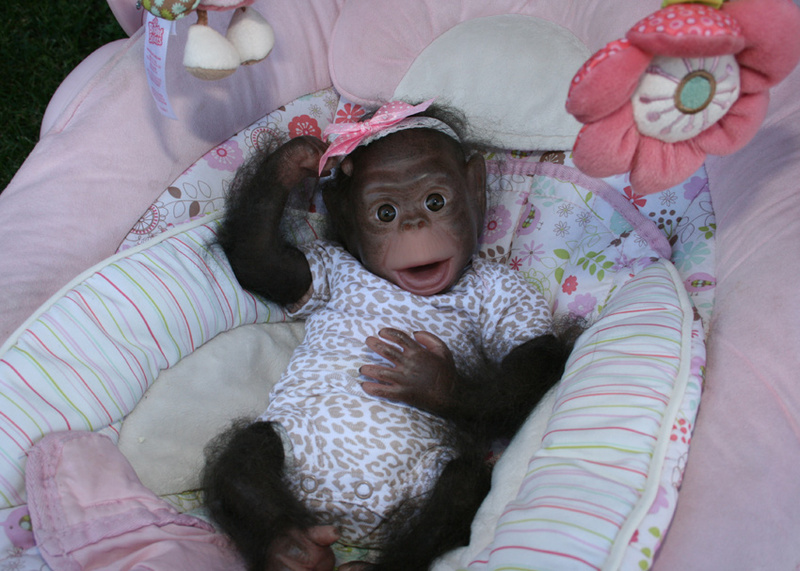 There are Chimpanzee's, Orangutan's or Gorilla's to choose from. 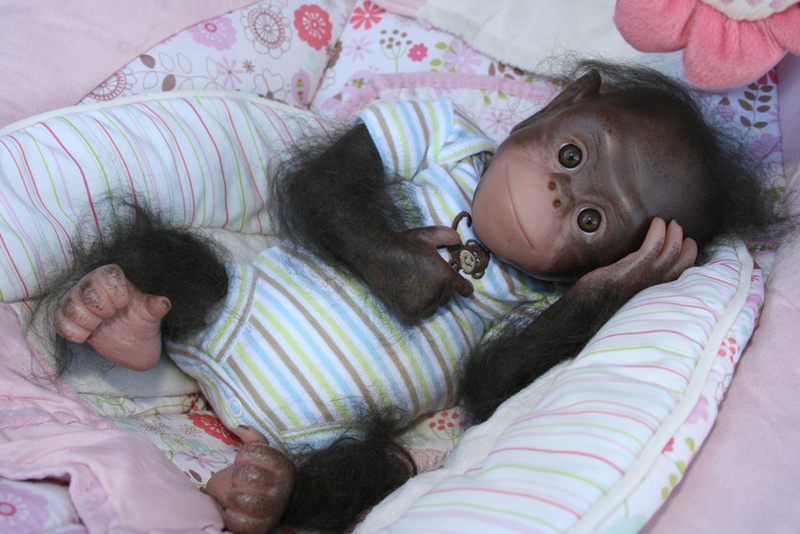 Each reborn monkey will go home with a nappy,short babygrow and a blanket! 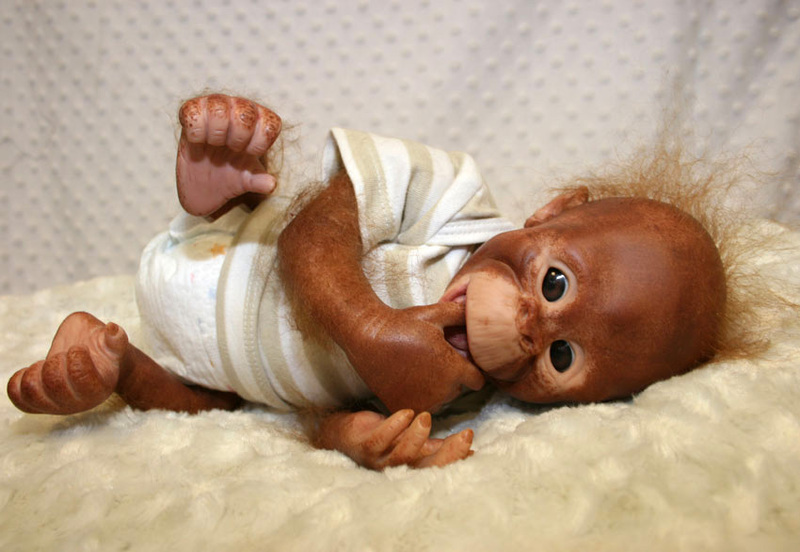 Once you have placed your order with me, it will take 3 weeks for me to make your reborn monkey. I will need an upfront 50%deposit in order to start the process of making your reborn monkey and on completion the balance will be due. The reborn monkeys will weigh between 1kg - 1.2kg and are about 40cm long. They wear preemie clothes or tiny baby.